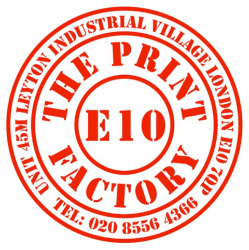 The Print Factory: Printing for Events, Printing for Marketing, Printing for Events - Personalised printing for business, for events, for you. 'Business stationery', it's quality, style and branding has a major influence on how a potential customer perceives a business. Each piece of stationery represents a chance to make a good initial impression. 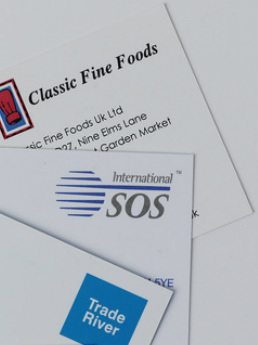 Whether your company needs thousands of letterheads, or you are a sole trader needing a business card, The Print Factory will work with you to create personalised, high quality stationery that is memorable and unique. We can source your preferred stock if you already have one in mind , or we can guide you through paper options from highly finished coated papers through to 100% recycled materials, explaining how inks will react with each. Many of our customers opt for our in-house Conqueror, Splendorgel and Snow White range for 'business stationery' but of course the choice is yours. The 'business card' remains the most valuable continuous marketing and communication tool when networking. We do not work with a standard template, instead tailoring each design. 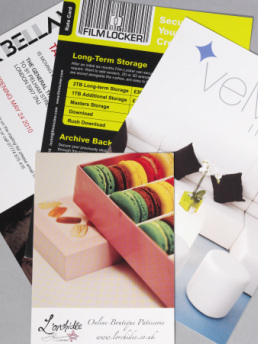 We take pride in producing outstanding cards which will keep working for you long after you've given them out. The 'letterhead' is another opportunity to make a 'first impression'. 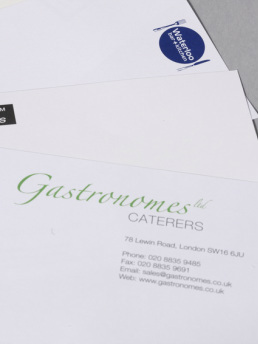 Unlike many stationery suppliers or high street shops, we offer a much wider range of envelopes which of course we can print to match the 'letterheads'. Along with business cards, 'compliment slips' are a 'must have' for any company or individual that wants to promote their company image and convey a sense of professionalism. Feel free to call and discuss your paper and print options. We are here to guide you through the unknown and make your time with us a stress free experience. 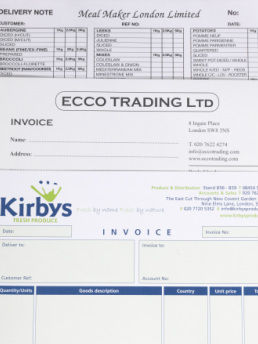 Tailored 'NCR' (no carbon required) pads are ideal for hand written invoices, delivery notes or forms where you need to leave one copy with someone else and keep one or more copies for yourself . They remain the ideal choice of paperwork on the move, such as hand written invoices, delivery notes or forms. How many copies you wish to make within the pads is up to you so, call us for a quote, we can discuss the options. Event Management companies frequently need to push the boundaries in creativity and originality, to ensure that clientele and guests are suitably wowed. We relish a challenge and implementing original concepts. Our experience includes every aspect of tailored print for seasonal and private parties and corporate events through to press and product launches, prestigious award ceremonies and international events. 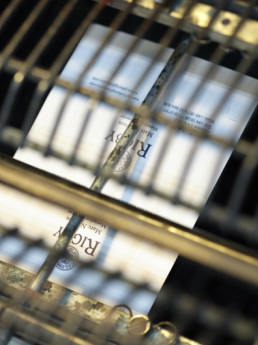 So, when you're running to a deadline, and need to make an inevitable adjustment, our flexible approach enables us to keep you in the loop at every stage of your print journey, to ensure the prompt execution of each and every element.